Wedding fayres like most events hosted by PAB Events are all about thinking outside the box. Who says that a wedding fayre needs to take place at a wedding venue? Or be only 1 day long? You will find our shop inside the centre close to Sainsburys & Starbucks. There will be mock ups, decor ideas and a select number of wedding & events suppliers throughout the shop. PAB Events will be there showing off our range of services and answering your questions so we can help you through some of the biggest decisions you will make for your special day. Look out for special offers too! Free entry. Open the public from 4th May - 2nd June 2019. Doors open at 9.30am on the opening day. (11:00-17:00) here at Sparkford Hall. existing and potential clients of 2019/2020. to be one of the most a unique and quirky event spaces in the South West! join us for the after party in The Barn to celebrate the Open Day success. Full of eye-catching detail, the Sugar House is a lovingly restored collection of Grade II listed former sugar warehouses, beautifully transformed into one of the finest boutique hotels in Bristol. From high ceilings and exposed brickwork that celebrates the city's industrial past, to the boutique chic of its décor, Hotel du Vin Bristol has its own sweet story to tell and looks the part. Come and have a chat with the wedding coordinator over a glass of fizz and some nibbles, see the various options that are on offer at this superb hotel and meet aroun 25 top class wedding professionals that can hep you plan your special day. Entry is free and the first 50 will get a free goody bag with one lucky VIP who registers that they ae coming winning a special goody bag packe with special offers and gifts. If you atted the fair you can get either a complimentary suite on the night of the wedding or a complimentary three course dinner with Champagne for two people on your first wedding anniversary. This is applicable of any wedding over the value of £4000 at HdV Bristol booked following attendance at one of our wedding fairs. Our inaugural spring wedding fair at this new venue. With fantastic, hand picked exhibitors for all your wedding needs. The fair is to be held in our beautiful marquee and we hope to give you inspiration for your special day. A fashion show will be held at 13:00. Free goody bags for the first 50 brides. Midelney will be all dressed up for a wedding with a marquee in the garden! Come and have a glass of fizz and wander around our beautiful gardens and Potting Shed. There will be a selection of hand picked suppliers on hand to chat through all of your wedding ideas along with Alice the owner. It's a very relaxed atmosphere and a fantastic opportunity to see Midelney looking magical! Join us for one of our open days or wedding fayres in Bath and get the chance to see Bailbrook House Hotel set up for a wedding, meet local suppliers and discuss your special day with our wedding team. In addition to the above we offer appointments 7 days a week including evenings, please contact the hotel directly to confirm an appointment. 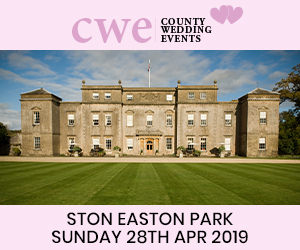 The West Gloucestershire Wedding Show is on Sunday 9th June 2019, 11am - 3:30pm at Stonehouse Court Hotel. .
Meet over 25 of the most fabulous wedding suppliers and discover everything you need for your wedding day. We're proud to offer the most unique and diverse selection of suppliers. Caroline Suite: serves as an exclusive banqueting room, providing the perfect setting for your drinks reception thanks to its air conditioning and state of the art PA system, as well as the all-important wedding photographs, thanks to its outstanding position and enviable views of our estate. Catering for up to 150 guests, it's an ideal spot for a wedding breakfast or an evening celebration. This is the main room where wedding suppliers will be based. The Arundel Room: provides a romantic setting in the Manor house for up to 50 guests and makes an ideal space for meetings. The Crellin Room: with its spiral staircase and oak panelled walls, is a perfect intimate dining area for up to 25 guests. Located on the ground floor with wood panels and mullioned windows, the room lends a special atmosphere to board meetings and private dinner parties, while also boasting private access to the hotel's terraces and gardens. Children welcome. Free on-site car parking. Food and drink available to purchase throughout the day inside at the Bar and Restaurant. If you are looking for food we advise you book a table. Check out our website http://www.TheWestGloucestershireWeddingShow.co.uk for up-to-date information. The Bristol Wedding Show is on Sunday 30th June 2019 from 11am - 3.30pm at Leigh Court. It's FREE entry, along with lots of ample FREE parking. Why not grab one of our FREE 'No Q' tickets to gain quicker access to the Show. Meet over 40 of the most fabulous wedding suppliers and discover everything you need for your wedding day. We're proud to offer the most unique and diverse selection of suppliers. Great Hall, Salon, Tapestry, Library and Morning Rooms: Each room has an unique decor, from the grand Great Hall to the elaborate Tapestry Room, and a guest capacity to suit any reception. These are the main rooms where wedding suppliers will be based. Children welcome. Free on-site car parking. Food and drink available to purchase throughout the day inside at theLounge/Bar. The Wedding Emporium shows are award winning and are PERFECT for all wedding planning couples looking for inspiration for the big day! Voted as one of the best wedding shows in the area, these are events that are a MUST VISIT whilst planning your wedding. Meet plenty of passionate and truly talented wedding business owners, all who are ready and waiting to speak with you! The Bristol Wedding Show is on Sunday 8th September 2019 from 11am - 3.30pm at Leigh Court. It's FREE entry, along with lots of ample FREE parking. Why not grab one of our FREE 'No Q' tickets to gain quicker access to the Show. DON'T FORGET: Click INTERESTED or GOING on the event page here ^^ to be kept up to date with news, offers and competitions we will be running throughout the next few months! Meet plenty of passionate and truly talented wedding business owners, all who are ready and waiting to speak with you. So what should you expect when you attend one of our fabulous events? Come along and be inspired, meet the team and a bunch of awesome wedding business owners! 2 DAYS OF FABULOUS WEDDING INSPIRATION! The Royal Bath & West Showground. 10:00am - 3:00pm both days. The Wedding Showcase event has fast become one of the biggest and most talked about wedding events in the SOUTHWEST. Not only do we have a phenomenal amount of wedding business owners who are truly talented and super passionate about weddings and your big day, you have an excuse to spend special time with your loved ones making memories and having a great day out together. Under 16's FREE. Discount for group bookings. The Gloucester Wedding Show is on Sunday 22nd September 2019 from 11am - 3.30pm at Mariott Cheltenham Chase Hotelt. It's FREE entry, along with lots of ample FREE parking. Why not grab one of our FREE 'No Q' tickets to gain quicker access to the Show. Meet over 30 of the most fabulous wedding suppliers and discover everything you need for your wedding day. We're proud to offer the most unique and diverse selection of suppliers. The Oakhouse Hotel has recently been licenced for civil ceremonies, to celebrate we are holding our first wedding fair on Sunday 29th September 2019. This is one of the biggest wedding fairs in the South West with around 100 top class exhibitors. We have loads of venues that exhibit offering deals that you wont get at any other time. We have every aspect of your wedding covered so that you can arrange your whole wedding under one roof. We have dresses to try on and buy so you can grab a bargain and say yes to the dress. We cover all tpes of wedding from budget to luxury. The first 150 get a free goody bag and three lucky people will win one of our VIP bags filled with gifts and extra special offers. We have some free workshops and lots of enetertainments. Free parking. Free entry. This is the one fair not to miss! Click INTERESTED or GOING on the event page here in order to be kept up to date with news, offers and competitions that we will be running throughout the next few months! Don't miss The Gloucestershire Wedding Show at Cheltenham Racecourse.The biggest wedding show in Gloucestershire. Meet Gloucestershire's top wedding businesses , they'll be offering tastings of their cakes, showing their amazing wedding dresses & groom outfits. Come along to our Wedding Show here at Batch Country House on Sunday 27th October 2019. Where you can look around our family run venue, see it all dressed up and meet all of our local suppliers who we highly recommend. We have Florists, Photographers/ videographers, Wedding Cakes, Hair and Beauty, Wedding Stationary and Venue Decorations , DJ's and Musicians just to name a few.